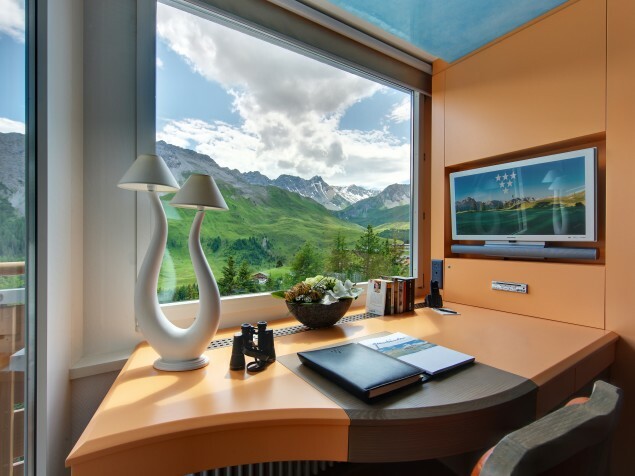 A truly grand Swiss resort hotel rekindles its legacy with a new look and a striking new spa - surpassed in beauty only by its breathtaking setting in the Arosa mountains. The history of the Tschuggen Grand Hotel begins as a late 19th century summer-only wellness retreat located about 90 miles southeast of Zurich. With an ideal mountain setting, it soon became a haven for sports enthusiasts and was a popular year-round resort through the mid-20th century. The hotel was closed from 1966 to 1970 due to fire and was restored. In 1980, when the Karl-Heinz Kipp family acquired the hotel they began restore the Tschuggen Grand.to its former glory. Their most recent and substantial improvements commenced in 2004, ushering in a new era for the resort. The Tschuggen Grand offers 98 rooms and 32 suites designed to reflect the relaxed contemporary Swiss resort lifestyle. The public spaces have an atmosphere of a private country club in the mountains. 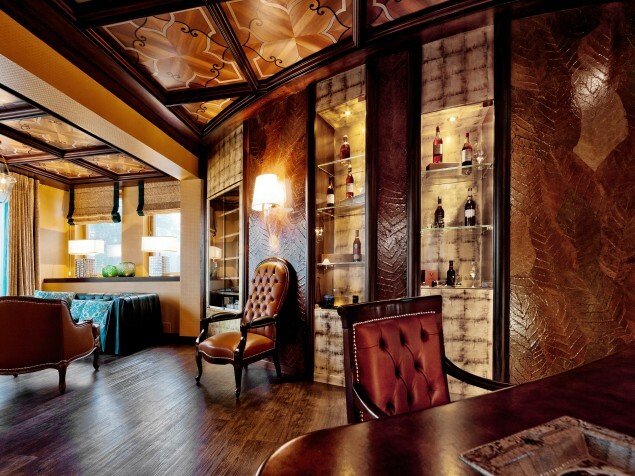 Once you arrive, there is no reason to leave Tschuggen as there are several great dining options from which to choose. 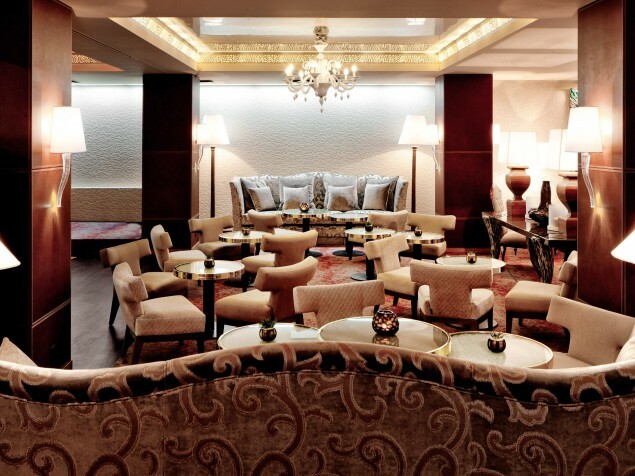 The Grand Restaurant offers contemporary international cuisine in a traditional elegant setting. Executive Chef Tobias Jochim creates his individualistic modern cuisine at La Vetta Restaurant, and he has earned a Michelin Star for his “Alpine Gourmet Fairytale.” Another dining option is La Collina, which offers casual meals against stunning views of the mountains. 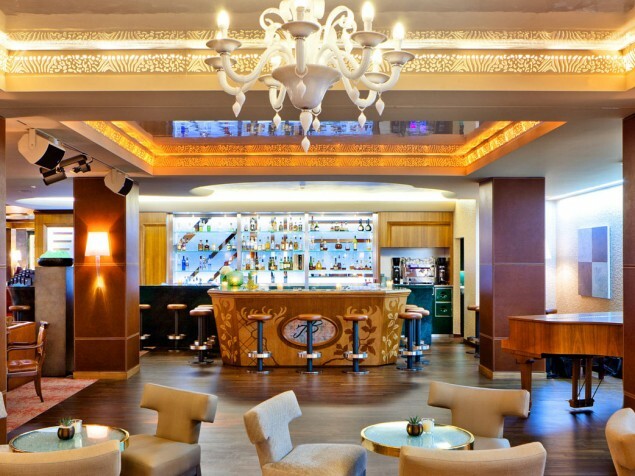 Cocktails and live entertainment are offered in the Tschugggen Bar, and there is also the popular Cigar Lounge. 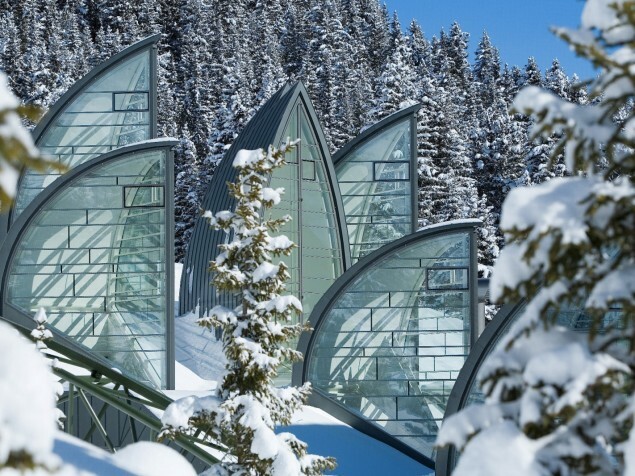 This mountainside resort now features the Tschuggen Bergoase, a most unusual contemporary spa and wellness center. It was designed by acclaimed Swiss architect Mario Botta who was also retained to provide upgrades throughout the resort. 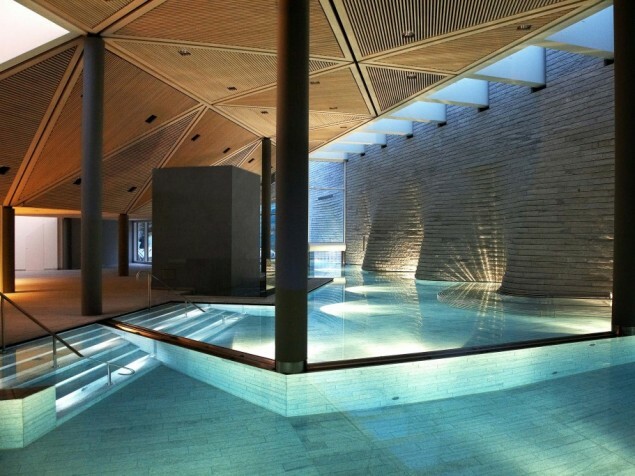 The spa is a clear visual departure from the hotel architecture and has a striking presence. It is comprised of a series of upright, metal-and-glass abstract trees or leaves, as we see them, perched on the mountainside. These skylights flood the space below with natural daylight, providing spa guests with a connection to the surrounding mountains. By night these “trees” come alive with colored lights that can be seen from a local village. The spa features separate pools for exercise and relaxation, a rock grotto, a state-of-the-art fitness center, private sauna and steam rooms, medical spa, meditation space, and salon. The Tschuggen Bergoase has won awards for both its design and its facilities. In keeping with the hotel’s legacy as a sports and leisure destination, the Tschuggen Grand Hotel has its own railway, the Tschuggen Express. 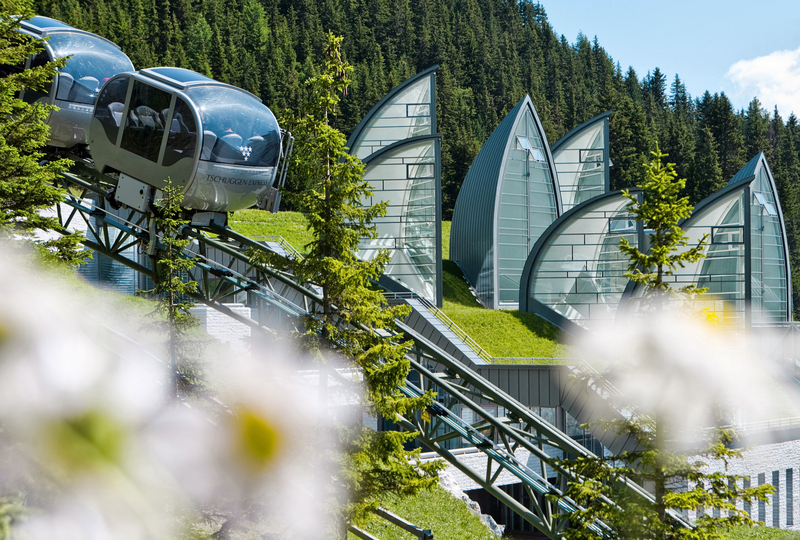 This year-round tram transports guests from the resort to the mountainside for skiing, hiking, or simply to enjoy the Swiss mountain landscape. A "best of everything" resort destination with a postcard-ready mountainside location, great contemporary Swiss interiors, and a new spa nothing short of an architectural wonder. With awards for its design, cuisine, and spa, the Tschuggen Grand has successfully secured its legacy into the 21st century.